Daniel MacMichael was being transported to Edinburgh when he took ill. His captors decided to execute him on the spot. He was subsequently burie din Durisdeer churchyard. 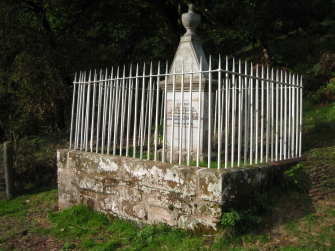 The monument is located to the north of Nether Dalveen farm, near to the shepherd's cottage. It stands within railings. Daniel MacMichael was buried in Durisdeer Churchyard, where a gravestone marks the spot. For details, click here.